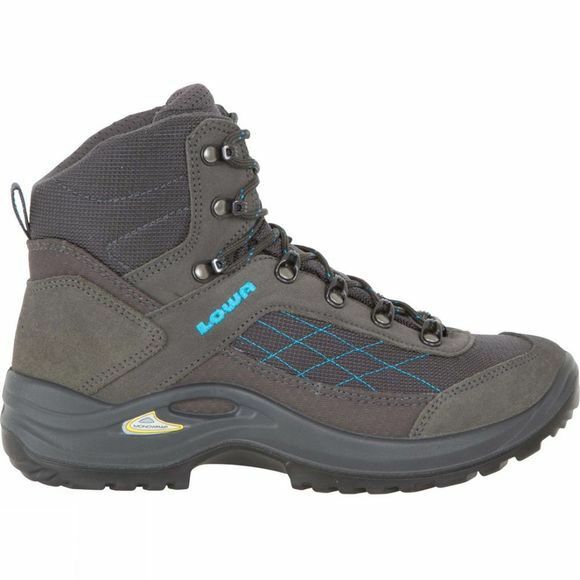 The Women's Taurus GTX Mid Shoe by Lowa is a great option for light hiking and leisurely walks on well made trails. The combination of suede and fabric upper gives a precise and snug fit while the GoreTex lining helps keep your foot dry and comfortable throughout the day. The sole unit is Lowa's own Loren construction which utilises MonoWrap technology, reducing overall boot weight while retaining the all important lateral stability, it also provides outstanding shock absorption for enhanced protection of your foot. The rubber used is considered non-slip while the tread profile is street-oriented to ensure it doesn't wear out as quick as boots which are designed for other types of trekking but also to maximise traction and grip for enhanced stability. 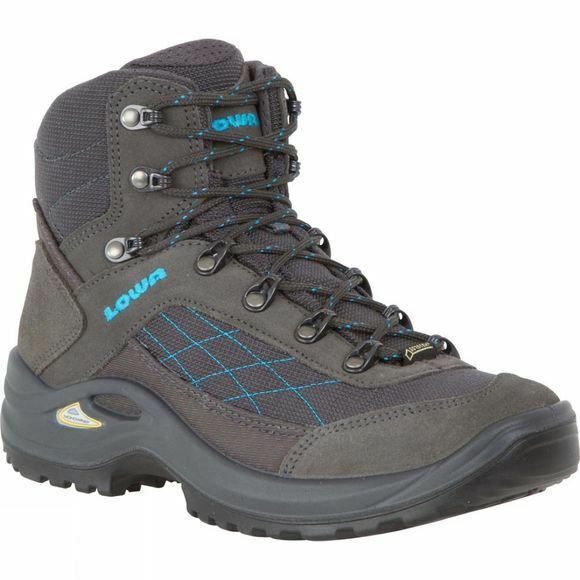 Lowa have been making walking boots for over 90 years. Today, they are the largest outdoor boot maker in Europe, able to draw on over nine decades of expertise to create some of the best walking boots in the world. All Lowa footwear is built in Europe by a team of highly skilled designers and manufacturers. This means that the quality, as well as the environmental impact of Lowa is maintained to an exceptionally high standard.